Tencent Games has confirmed that the PUBG Mobile 0.12 update will come out next week. Going by the past updates, it may launch on Tuesday itself i.e. April 16. The update is expected to bring PUBG Mobile Darkest Night mode to the game. Survive Till Dawn 2.0: This could be called the new chapter of the zombie mode with new enemies and weapons. Darkest Night mode: Play it solo or in team, your objective is surviving the zombie hordes and toxic gases till you get rescued. The previous PUBG beta update had added two new weapons to the zombie mode of the battle royale game: the ‘RPG-7’ rocket launcher and a crossbow that can shoot bolts fitted with explosives. In other news, while PUBG addiction among the young generation has been a topic of debate, the game has been banned in Nepal, as per a report in the Kathmandu Post. 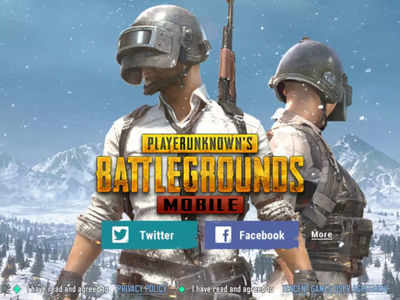 PUBG ban in Nepal is effective from today and all internet and mobile service providers have been instructed to enforce the ban by Nepal Telecommunications Authority. PUBG has been in the news for quite some time now for reports of the adverse effects it is causing on the health of players who play it for extended periods of time. There have been many, especially anxious parents, who want the government to ban the game across India.